This monster's name is a portmanteau of Wicca, wicked, and kid. 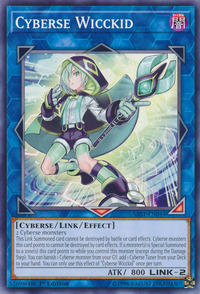 This card has several similarities to both Cyberse Witch and Clock Spartoi. They possess a Bottom and Bottom-Left/Right Link Arrow. 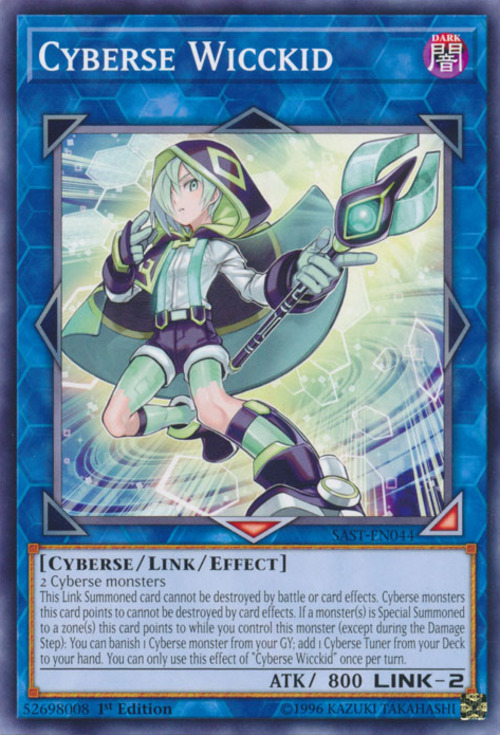 They require 2 Cyberse monsters to be Link Summoned. They have an effect that activates when a monster is Special Summoned to a zone it points to. They can add a card from the Deck to the hand that supports a specific type of Summoning (Synchro, Ritual, and Fusion respectively).